Despite its position as the world’s largest financial market, the forex market has only become readily accessible to retail traders in recent years due to the advent of Internet based trading via online forex brokers. Aspiring forex traders can now use electronic trading platforms — like the very popular MetaTrader software offered as a free download by MetaQuotes Software Corporation — to access the huge forex market even if they are only able to trade in small amounts. Most online brokers will support MetaTrader and may also offer their own proprietary electronic dealing platforms or web based dealing interfaces. These platforms typically permit traders to do a quick review of the currency market and perhaps perform some technical analysis, in addition to allowing them access to trading essentials like order entry and deal execution for a wide selection of currency pairs. As a common way of encouraging forex traders to use their deal execution services and deposit funds with them to use as trading account margin, most online forex brokers will offer a free forex practice account to potential or existing clients. Generally known as a forex demo account, such accounts allow a trader to experience a hands-on demonstration of what it feels like to trade currency pairs in the forex market with that broker without putting any real money at risk. Forex demo accounts are generally offered free of charge by online forex demo brokers and are often funded with generous amounts of virtual money. Although using a FX trading demo account has numerous benefits for traders, some caveats are worth mentioning since the mechanics of entering a demo trade and the resulting emotional responses a trader can have while managing it can differ significantly from the experience of live forex trading using their own hard earned money. Other common demo account conditions that make them differ significantly from a real money funded account include broker-imposed time limits and fixed deposits of virtual currency. The following sections of this article will discuss opening up an online trading demo account, in addition to some of the most notable pros and cons of using a demo forex account compared to using a live forex account for trading currencies. Just about any reputable forex broker will allow prospective and current clients to open up a demo account with them free of charge to allow traders to practice forex trading using virtual money. Demo account traders often also get access to at least some of the broker’s client services and customer support staff so that they can get a better sense for what dealing with the broker will be like when they decide to fund a trading account with real money. Traders wishing to open up a demo trading account can typically navigate to the website of one or more forex demo brokers and follow instructions displayed there for opening up a demo or practice account with the brokers they select. Choosing the best forex demo account for your needs might involve reviewing those offered by several online brokers with differing features in order to make an informed determination of which broker is the most suitable host for your particular trading style and preferences. When opening a demo account, you may also need to select an amount of virtual money to fund the demo account with and enter some personal data to identify yourself with. If you feel concerned about providing your real personal data to a broker you do not have an established business relationship with in order to open up a demo forex trading account, you can often use a fictitious name, address and contact information. You can also open up a new e-mail account to receive messages regarding the demo forex account if you are worried about having your personal e-mail address sold to third parties like electronic mail marketers. Both novice and experienced forex traders routinely use demo accounts to practice trading currencies and try out a new broker or trading strategy. See if You Like Trading Currencies – Those new to trading currencies or trading in general can use a forex demo account to see if they are mentally and emotionally suited to the rigors of trading forex. Everyone is different, and some folks might really enjoy trading currencies, while the activity may not suit others’ tastes, personalities or lifestyles at all. 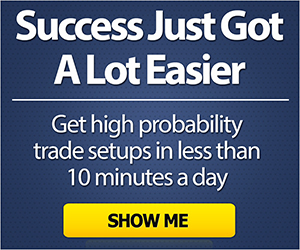 Trade Forex at No Risk While Training – Novices who are still learning to trade currencies often feel considerably more confident putting their real money at risk in the market if they have a chance to try things out first. A demo account lets them put their training into practice in a close to real life environment without putting their real money at risk. This allows them to make common beginner’s errors while they learn without having to pay for the consequences out of their own pocket. Practice Good Money Management Techniques – One of the secrets to enjoying long term success when trading forex involves learning to implement well established money management principles. A demo account allows a new or experienced trader to practice such techniques thoroughly on real exchange rate movements and see for themselves how the typical benefits accrue to their demo account in virtual money profits. Learn to Manage Your Emotions When Trading – One of the most challenging aspects of trading for many people involves learning how to manage their emotional responses to winning and losing trades in such a way that it encourages overall profitability. Coping appropriately with otherwise normal psychological responses to making and losing money — such as fear, greed and hope — can often distinguish the successful forex trader from the loser. Test a New Trading Strategy Without Risking Real Funds – Wise experienced traders and novices alike will generally want to test the success of any fresh trading strategy they come up with before implementing it in live trading environment. This allows them to accustom themselves to following the system and to work out any bugs in it that might become apparent while using it as real exchange rate movements occur. 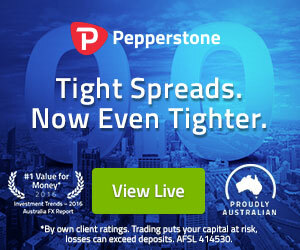 Try Out a New Broker’s Trading Platform – Unless you are using the MetaTrader platform that a lot of online forex brokers support, you will probably want to use a demo account to see whether a new forex broker’s proprietary web or client based trading platform is suitable for your trading needs. Check if a New Broker Has Helpful Features and Services – Forex brokers eager to have you open a live trading account with them will often give demo traders access to their special client features, educational and news services, and customer support departments. This can be a great way to check out the quality of the broker’s overall services before committing any real trading funds to make sure that they are the sort of trading partner you will want holding your account. Demo Accounts Often Have Limited Funds and Duration – Many online forex brokers will limit the funding of a demo account to the amount it was initially set up with and so allow no virtual funds to be withdrawn from or deposited into the account. Also, demo accounts often have a fixed time duration after which they expire. This could mean that your demo trading track record might be lost or terminated at a time that may not be convenient for you. Real Trading Conditions May Differ – Although demo trading seems very realistic and uses real exchange rate data as it unfolds, the reality of trading can be quite different, especially during the fast markets surrounding major economic data releases or during major news event announcements. Order Slippage May Not Occur as Often – In order to make their demo trading experience as attractive as possible to potential clients, online forex brokers might largely or even entirely eliminate order slippage from their system. Thus, if a stop loss is triggered in a demo account, it might be filled at the same price it was entered at, while if a stop loss was triggered in a real account at the same time and level, it might have actually been filled at a considerably worse rate depending on actual market conditions. Re-quotes May Be Less Frequent Than in Live Trading – As with order slippage, some online brokers looking to attract new clients via their demo trading programs might reduce or even eliminate re-quotes from their demo systems. In practice, re-quotes are a common — but generally undesirable — reality for forex traders operating in live accounts since the market often moves while orders are being entered, so the system needs to re-quote a new exchange rate before the trade can be confirmed as executed. Order Execution Times May be Faster – Since demo account trading does not actually result in real transactions being entered into the market that can have profit or loss implications for the market maker or broker, the actual execution rate does not matter like it would with a real transaction. This can result in faster execution times observed when trading in demo accounts, while execution times seen for real account trading can depend on market conditions and may involve one or more re-quotes in fast markets. Demo Spreads May be Tighter Even in Fast Markets – Due to the fact that demo account trading does not involve real money for the trader or market maker, online forex brokers looking to impress potential clients might quote artificially tight spreads to demo account traders. In reality, the actual dealing spread quoted might be considerably wider, especially in fast markets when the exchange rate can move and fluctuate rapidly. You Might Learn to Overtrade – Some people find the experience of trading to be quite enjoyable and the thrill of entering a deal and taking risks can cause them to trade excessively. Sometimes the right thing to do as a trader is to just sit on your hands, rather than getting into the habit of continually pulling the trading trigger. Using a demo account involves no actual risk of financial loss, other than possibly the opportunity cost of not having taken the trades in a live account, so some people get into the bad habit of indulging their love of trading to an excessive degree. This can ultimately cause them to become unsuccessful traders when they move to a live account. Excessive Use of Leverage Can Cause Live Trading Disasters – Some traders seem to enjoy using the high degree of leverage offered in demo accounts by some online brokers to take very large positions relative to their virtual account size. While this can make them large virtual profits if their view turns out to be correct, it can also wipe out their account if the market goes against them. Using such high leverage compulsively can also be a recipe for disaster if this behavior pattern gets repeated when trading in a live account. Poor Trading Habits Do Not Have Real Consequences – Although practice trading can be a useful way to learn to avoid trading mistakes, some people do not seem to learn their lessons quite as well if the real loss of money was not involved. This can result in the establishment of undesirable trading habits that will need to be overcome for a trader to enjoy long term success when operating in a live account. Your Emotional Responses Might Be Different – Trading successfully generally involves learning to manage your emotional responses appropriately. Sometimes this key lesson can only be learned by actually making or losing real money since people may psychologically shrug off the virtual profits and losses accruing in their demo account. Use Similar Account Sizes and Risk or Performance Can Vary – When trading in a forex demo account, it makes sense to use roughly the same investment capital amount and risk taking parameters you intend to use when trading real money. If you do otherwise, then your performance expectations may not be met once you start trading a similar strategy with a live account. You May Have to Share Personal Details – When using a demo account to try out a new forex broker, you may not want to share all of the private information they might require when opening the account for various reasons. This disadvantage can usually be overcome by using fictitious personal information and a new e-mail address for correspondence. Whether you are a new trader trying to learn the ropes of forex trading in a realistic environment or if you are a seasoned currency trader looking to check out a new online broker, dealing platform or trading strategy, forex demo trading can be a useful way to practice without the added element of actual real money risk taking that might result in the loss of your precious trading capital. Of course, it makes sense to avoid some of the more common forex demo trading pitfalls, like developing poor trading habits or unrealistic expectations based on different risk parameters and account sizes from what you intend to put into practice on a real account. Furthermore, artificial time or funding limits placed on demo trading accounts by your broker can significantly affect the results you can obtain when demo trading. Overall, forex demo trading certainly has a useful place in the arsenal of tools available to new and experienced currency traders alike. Nevertheless, if some of the disadvantages of trading in demo accounts seem unattractive enough to outweigh the benefits in your situation, then taking small test positions in a live account might give you a more realistic perspective on the actual trading results you could reasonably expect to achieve.